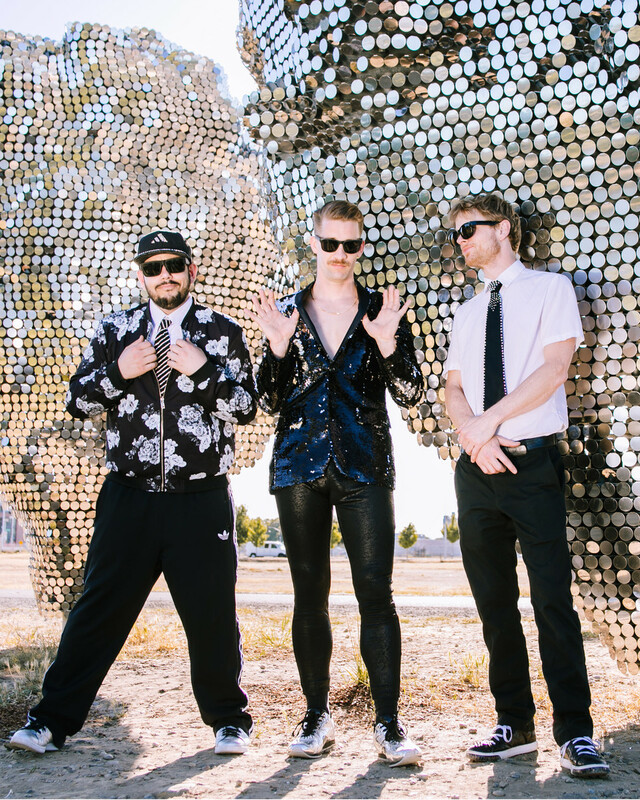 Dance to their eclectic electro-funk, grind to their original R’n’B grooves, and sweat under the intense, penetrating gaze of frontman Dylan Charles Germick as he begs you, in all sincerity, to love yourself no matter what. Conceived in Oakland, CA by two Indiana brothers, Planet Booty first emerged along the west coast as a 6-to-10-piece funk and soul dance party powerhouse with a reputation for limit-pushing and theatrics. But it was their later incarnation as a multitasking three-piece (Dylan Germick on vocals and trumpet, Josh Cantero on vocals and keys, Rob Gwin on bass and percussion) that caught the attention of national and festival circuits, with a more intimate connection and yet an even more powerful experience. Planet Booty released their fourth album, NAKED, in August 2017.